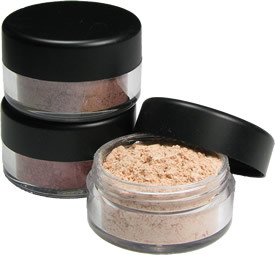 An all-purpose powder, Pure Pigments can be worn as an eye shadow, blush, bronzer and shimmer. Applied either dry for light shimmering highlights or wet for vibrant color. They are so versatile and true in color they can even be added to lip glosses and nail lacquers.